You were a commissioner in the cabinet of Dr Olusegun Mimiko until recently, what brought about the disagreement you had with him? Our disagreement with Dr Olusegun Mimiko, the governor and leader of the party in the state, is on the principle that he could not unilaterally impose a governorship candidate on the party– and even from his own Central Senatorial District where he is concluding an unprecedented eight-years tenure. But what’s the difference between what the governor did and the endorsement of a candidate by the APC leadership? It is wrong to compare the endorsement Asiwaju Bola Tinubu was said to have given Dr Olusegun Abraham in APC, which itself is a major cause of the hiccups in their party, with the brazen imposition by the governor. In our own case, Mr Governor only recently told me that he had made up his mind about his successor about a year ago but continued to encourage us, other aspirants, most of who were members of his government, who sought his consent to contest. To give authoritative effect to his pronouncement, the governor summoned other aspirants and asked them to step down for his candidate. 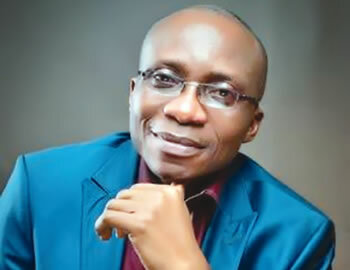 At different times within two weeks, he also summoned the state cabinet, the members of the State House of Assembly, all statutory delegates, party Exco at all levels, women and youth leaders, different associations, market women, non indigenes, artisans and all, briefing them on his choice and seeking voice votes of approval immediately. The remaining assignment was left for the obsequious political office holders to ensure the ‘perfection’ of the delegates’ list by excluding perceived non-conformists. In all cases, the governor, political office holders and party executive members became campaign managers and cheerleaders of the governor’s candidate several weeks before the hoax of a primary. As all contrary entreaties and appeals were rebuffed by the governor, the only option we were left with, was to seek our fate outside of his area of immediate influence. But why the choice of the Modu-Sheriff group? Interestingly, the Alli Modu Sheriff-led PDP was the only group in the state to which all, including the governor, belonged. In fact, it may safely be said that none of the two parallel state Excos of the party is a product of Senator Ahmed Makarfi’s leadership. The governor created factions when he left the existing Sheriff group and pitched tent with the new Markarfi Caretaker Committee at the wake of the first botched Port Harcourt Convention. The rest of us remained with Sheriff as the alternative platform to ventilate our political aspirations. The group is made of two tendencies; the first consists of some irredentist old PDP, who were not properly integrated into the new arrangement when the governor, in October 2014, merged the Labour Party with PDP in the state. Some of these old PDP members who obtained nomination forms for various offices in the 2015 elections, were not only denied nominations; the money paid by them was never refunded. They are not only embittered against the governor and everything he represents, they filed several extant pre-election cases in court. Incidentally, most of them now constitute the executive of the Sheriff group at the state and handpicked local government and ward structures. The second and larger group consists of us; party leaders, former senators, House of Reps members, commissioners, state legislators, local government chairmen and several other seasoned politicians, including serving political appointees who openly identified with Sheriff and others waiting in the wings. What’s the actual electoral strength of the group and what informed your obtaining nomination from the Sheriff group? Apart from the comparative prevalence of seasoned politicians, the Sheriff faction was greatly buoyed by senatorial stakeholders’ conferences drumming support against the imposition of candidate by the governor. Leaders from the north, central and southern senatorial districts agreed to field a common candidate. The leadership of the South finally adopted me. Other contestants from the South included Jimoh Ibrahim and Oboli Omowa, but they were not favoured, being, among other reasons, from Okitipupa Local Government which has produced the only governor and the two only southern deputy governors, including the current minister and the speaker of the state House of Assembly. The caucus was of the view that the reason that makes Jegede from the same Senatorial District with the incumbent governor unacceptable, applies to the aspirants from Okitipupa Local Government in the South. What informed the holding of your factions primary outside Ondo? The shift of the primary to Ibadan was not against the PDP constitution which doesn’t stipulate any specific venue for the holding of the governorship congress. There are enough precedents for its justification, one of which was the Taraba 2015 governorship primary affirmed by the Supreme Court. Our grouse is that what took place in Ibadan could not be referred to as any form of election by any stretch of the imagination. There was no means of identifying who really were delegates. No delegates’ list or register was presented, no accreditation of any form, which rubbished the entire process. How could an election which lasted barely an hour have involved the accreditation of almost 1000 delegates? It was unfortunate that some people would, out of indiscretion, desecrate the altar of integrity on which the Sheriff group in Ondo worships and for which we sought a separate tabernacle in the first place. But it was said that three of the aspirants stepped for Chief Jimoh Ibrahim who was eventually declared the winner? Of course, it is not a crime for some aspirants to step down or withdraw from a race. But it was indecent and unacceptable for the organisers at the point of the so-called voting to have allowed campaigns by three of the aspirants who came up that they were not only stepping down for one of the aspirants but urged the unidentifiable delegates to vote for my brother, Jimoh Ibrahim because, according to them, he was the one funding the activities of the party at all levels. The whole exercise was a sham conducted in a hurry and a rowdy market place predetermined to favour a particular aspirant. It was such a shame. But you participated, why complaining? Yes, I protested prior to the election and some notable elders of the party led by Senator Meroyi also complained in writing. In spite of that and to answer your question directly, only those who participate in an election, not a meddlesome interloper, can raise petitions about its outcome. Thus, as required by the party constitution, we have expressed our reservations and objections by petitions addressed to the appropriate organ and leadership of the party. As I have said repeatedly, I am convinced by the facts and laws, in spite of posturing to the contrary, that Sheriff is the authentic national chairman of the PDP and will eventually be so vindicated. Yet, I don’t intend to be seen as speaking ex cathedral or playing to the gallery on issues concerning the totality of the internal crisis in the PDP. That was why rather than heating up the polity, I have directed my grievances appropriately. But nomination forms are said to have been issued to the declared winner.. I have seen the forms displayed on the social media by several claimants to the candidacy of the PDP and I am amused that it is either some persons are playing pranks or the INEC is just enjoying itself by such shenanigans. In the Sheriff group, the committee that conducted the primary just submitted its report to the NWC on the 6th of September after my petition had been received, yet the purported Certificate of Return dated 1st of September had earlier been on display, including Form CF001 which is supposed to be obtained by the national leadership of the party. It is unfortunate that rather than see the Sheriff group as a veritable higher credible platform for power, some members, especially the state Exco, merely used it as an engine of vengeance against Mimiko and anyone ever associated with him. Our choice of the platform brought colour, glamour, greater credibility and acceptance by the people. Unfortunately, these assets attracted suspicion and campaigns of calumny and we were immediately denounced as Mimiko agents while some even wickedly said the governor, from whose cabinet I resigned out of irreconcilable differences, paid my nomination fees. For me, it is a general prescription. The conclusion by our petition is that the Sheriff faction hasn’t conducted any primary as what happened in Ibadan was an illegal anti-democratic contraption that cannot stand. On the other hand, the Governor’s handpicked candidate against democratic tenets and just political culture of the people is also bereft of legitimacy ab initio making the PDP in the state, currently a giant with the feet of clay. That is why two months to the election no campaigns could be reasonably and safely held. Power is being sought from judicial technicalities rather than meeting the people. No wonder, worn out strategies of coerced ward meetings with threat of loss of appointment is now the order of the day and nostalgic tunes of a possible return to old tents now dominate the new political songs. The Governor as leader of the party in the state and for the abundant grace of God he has enjoyed politically once philosophically saw the PDP in the state as a party capable of defeating itself. Yet, unmindful of this, the leader sowed the seed of discord by the unilateral proclamation of who to succeed him seeking inexplicably to retain power in his senatorial district after his unprecedented 8 years. This eating of the sour grape by the leadership has set the political teeth of the party and its members on edge. Even Samuel the great prophet made initial mistake in his choice of kings among the children of Jesse, he did not persist in his error. Leadership is not about celestial infallibility, it is in the humility of acceptance of one’s human limitations and make amends. For the authentic Sheriff group, our prescribed antidotes are already contained in our petition. To the Governor and leader of the party, he can not afford to allow his self created crisis linger. Ordinarily, in any democracy, after two terms, diminishing popularity returns will set in and the people cry for change notwithstanding the performance of the person or party in power. We cannot combine this starring reality with needless internal crisis. This crisis will extend beyond the close of submission of candidates’ names and even the election. That state of uncertainty portends unimaginable danger and demands uncommon demonstration of leadership.